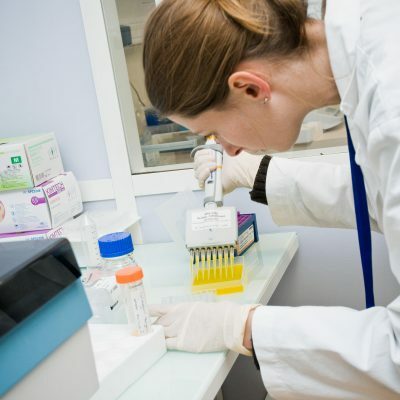 The ESBS (Ecole Supérieure de Biotechnologie de Strasbourg) is one of the major participants in the field of biotechnology in the Upper Rhine area. The main objective of this engineering school is to train engineers in biotechnology (three-year course), but it also actively contributes to the networking of many scientists in the field at the regional level. The opening of the Franco-German Masters degree course in Biotechnology from the start of the 2018 academic year, in partnership with the universities of Freiburg, Basel and Offenburg, is an example. Offering 3 specialties (Synthetic Biotechnology, Biotechnology and high flow analysis and Pharmaceutical Biotechnology), the Master’s degree focuses on providing its graduates with the new skills that will be needed to respond effectively to the challenges posed by new developments in this sector. With a view to international openness, the school emphasises the diversity of recruitment, the international mobility of students and the learning of languages (German, English and French). The ESBS international network and its close links with the industry also enables students to complete a final internship in research laboratories, in industry, or private and academic institutes anywhere in the world.